With the nationwide premiere of the new 3D 3G animated film Epic, just two days away [May 24th], I want to introduce you to one of my favorite characters from the film, General Ronin. General Ronin [voiced by Colin Farrell] is the stoic leader of the "Leafmen". He's wise and brave and everything you'd expect of a leader. After attending the "green" carpet premiere of Epic in Manhattan this past weekend, we had the chance to sit down to a round table interview with the voice of General Ronin - Colin Farrell. 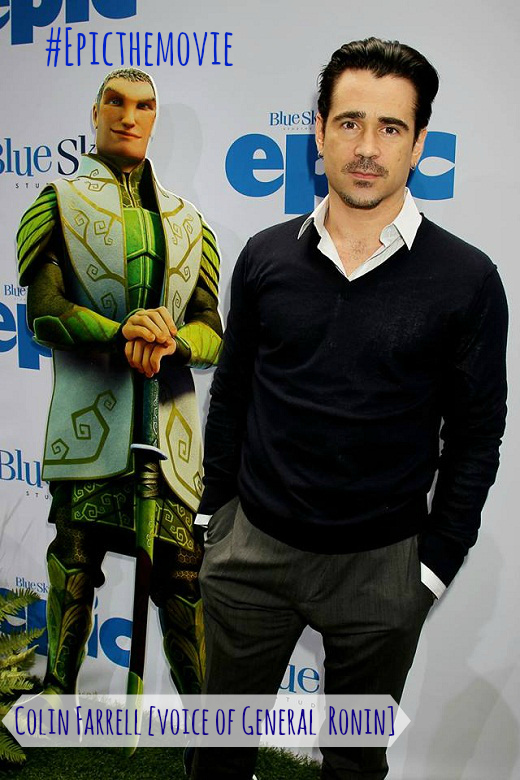 Epic is Collin Farrel's first animated film. It's not that he has never been approached to voice a character in an animated film - he just never felt a connection with the scripts that were presented to him. That changed when Epic came along. So what drew Colin Farrell to this project? I would have to agree with Mr. Farrell. The world that director Chris Wedge and his team created in Epic, is both magical and breathtakingly beautiful. Ronin wouldn’t think twice about putting his own life on the line for someone he cares about. When the forest and his beloved Queen come under siege, Ronin rallies the Leafmen into action with bravery and wry humor. Ronin’s and his Leafmen’s mode of transportation are hummingbirds, which in the world of EPIC race into battle with the capabilities of both a motorcycle and helicopter. Ronin’s closest and most powerful ally is Queen Tara, portrayed by legendary musical artist Beyoncé Knowles, who makes her animated feature debut in EPIC. Beautiful, agile and strong, Tara isn’t just the Leafmen’s Queen; she’s the life force of the forest, which she presides over with respect, compassion and humor. Tara is Queen to all, but to Ronin, she’s something more. 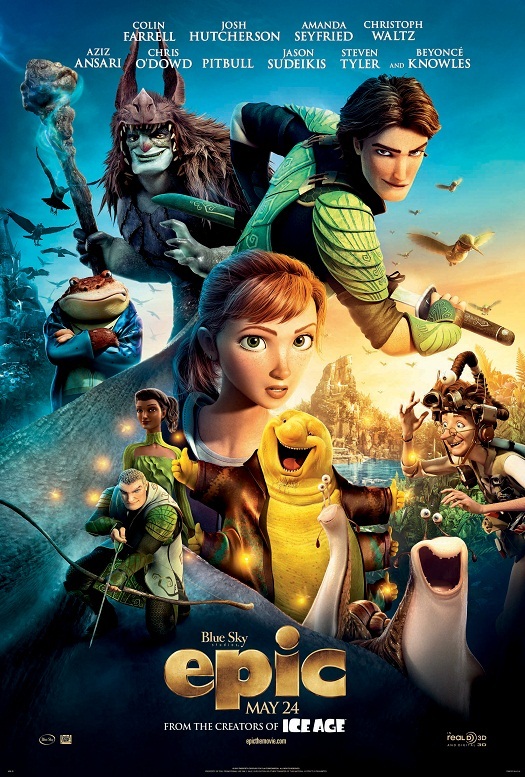 From the creators of ICE AGE and RIO, EPIC tells the story of an ongoing battle between the forces of good, who keep the natural world alive, and the forces of evil, who wish to destroy it. When a teenage girl finds herself magically transported into this secret universe, she teams up with an elite band of warriors and a crew of comical, larger-than-life figures, to save their world…and ours. Epic, The 3D CG adventure comedy hits theaters nationwide on May 24, 2013! Ready For An Epic Family Movie Night? Win A #EpicTheMovie Prize Pack w/ Visa Gift Card!